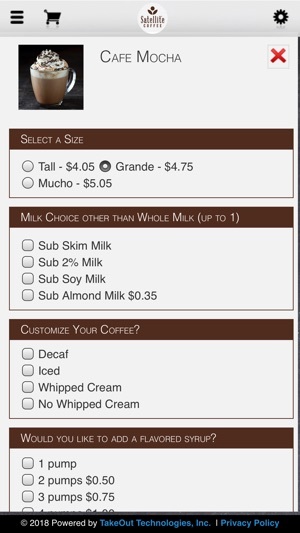 Ordering your Satellite Coffee favorites just got easier. Enjoy mobile ordering for convenient Pickup or Delivery. Since 1998, we have devoted ourselves to providing outstanding coffee, premium teas, and homemade food & bakery to our Albuquerque community. * The full Satellite Coffee menu offers all your favorite drinks, sandwiches, salads, and our handcrafted line of bakery. * Order for Pickup or Delivery. 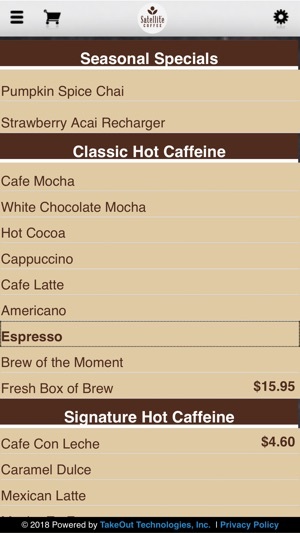 * Customize your favorite coffee drinks. * Guest Checkout allows quick ordering without an account. * Unlimited ability to place future orders. 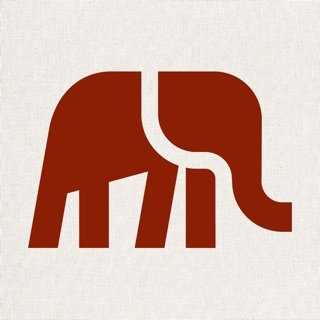 * Earn rewards with each purchase if you are a Thanx member. 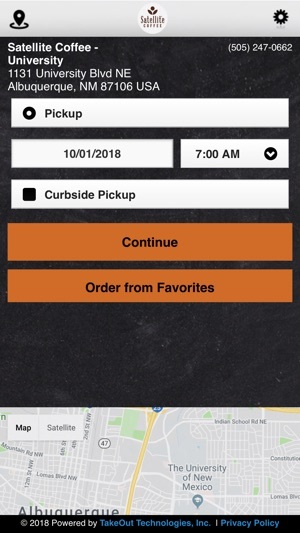 *Online ordering for Pickup and Delivery is currently only available from the Satellite Coffee on University Blvd, Albuquerque and the Satellite Coffee on Jefferson St NE, Albuquerque. *At this time, the use of Gift Cards and the redemption of Thanx member rewards are not available during online transactions. 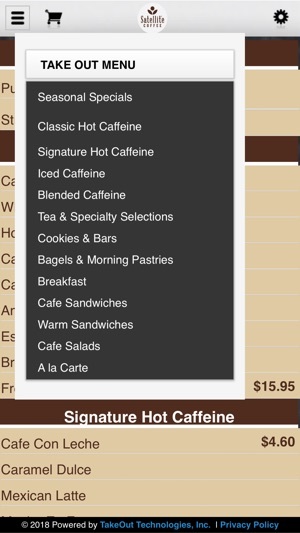 Online Ordering from the Satellite Coffee on Jefferson St. NE, Albuquerque has been added.